Meditation & Yoga: Why and How? The benefits associated with both meditation and yoga are astounding. Despite this, many people still do not want to try meditation or yoga because they feel that it is only for “hippies”, or because they don’t have the time. Many successful people meditate every day, including Ellen DeGeneres, Oprah, Jerry Seinfeld, and Jennifer Aniston. At the least, meditation takes only five minutes, and a quick sunrise salutation in the morning takes ten at the most. These tips will point out the benefits of mediation and yoga, and once you’re convinced, show you how to get started. Regularly practicing just a five-minute mediation in the morning or quick yoga routine can reduce anxiety and depression. Meditation is shown to make the mind sharper, more creative, and even prevent the brain from aging quite as quickly. Also, improved memory is a huge benefit from both yoga and meditation, and this can be a tool to utilize before an exam or a presentation. 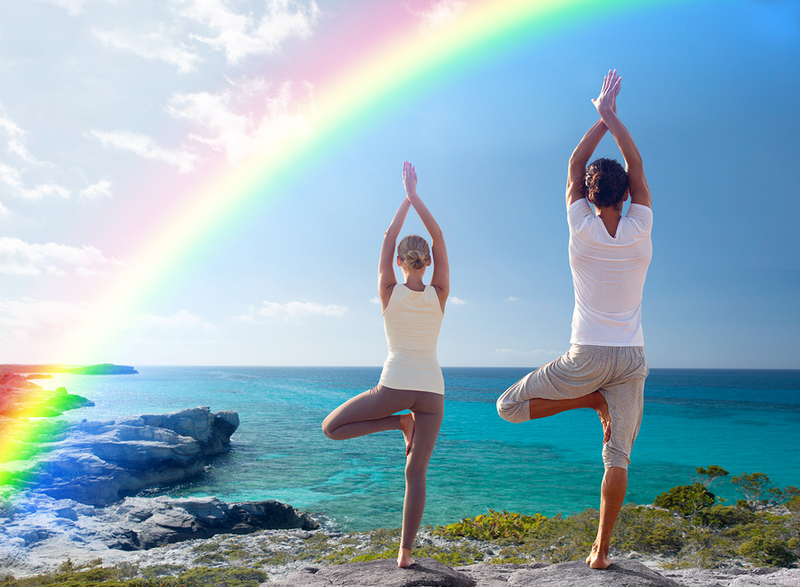 Both yoga and meditation have also been shown to improve mood and positivity due to the increase in relaxation. Yoga is a huge step in the right direction as far as physical fitness goes. Practicing a yoga routine can help you become more flexible and more fit. Flexibility from yoga can help prevent future injuries, especially for those of us who run, and can improve your cardio sessions as well. Yoga can also increase muscle mass and tone your body, and an increase in muscle means more fat burning throughout the day. Studies also show that those who do yoga are more likely to eat a healthy diet and have better metabolisms. Meditation also reaps some physical benefits, as the decrease in stress from meditation actually boosts your immune system. If you’re a beginner, starting off with a guided mediation is ideal. There are many apps for this such as “Stop, Breathe & Think”, “Headspace”, and “Take a Break”. Being in a quiet space is a good way to start a meditation. I usually turn the lights off and light a few candles before I begin. You can meditate both for wakefulness as well as sleep, but I find that meditating at the beginning or end of my day is ideal. Meditation is a very open-ended practice, and there is no defined method. Some prefer to repeat a mantra or listen to music, while others prefer silence. Practicing a variety of ways will help you decide which method of meditation best suits you. Yoga is a bit more defined in its practice than meditation is, but there are still many ways to do it. To start, look up some beginner yoga poses and you can string them together in any way you like. You can also look up beginner yoga sequences. The sun salutation is a tried and true yoga sequence for beginners, and helps to wake up as well. YouTube is a good resource to learn yoga sequences, and Pinterest has great infographics for it. Your local gym will also likely offer yoga classes in the morning or afternoon, so checking out one of those to reap the many benefits of yoga!